This animation was made using hyperstudio. It is about the travels of early explorers particularly the Polynesians. 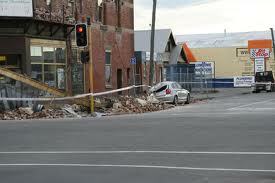 At 4:00 am on Saturday in Canterbury an earthquake hit, which devastated the community of Christchurch. Heaps of old buildings collapsed. The Earthquake which was 7.1 on the Richter scale, was a complete surprise to the scientists. The earthquake made the grounds unstable which burst pipes such as sewerage pipes. So if someone were to light a match in the area flames would start and be dangerous to the people. The water leaks could cause diseases. Huge cracks have also formed in the ground. Chris was from water safety NZ and he brought a portable pool to our school. In the weekend on week 4 these men were building the portable pool for our school. We are going to use the pool only every Wednesday til the end of the term. Wow!! I said excitedly while meeting all the famous people in the four nations like Isaac Luke, Sam Burges, Lance Hohaia and Darius Boyd. It was very cool going to see those famous people and we got their signatures too. Above is a photo of Darius Boyd and I. Below are some other pictures of famous league players. “My name is Jandle man” he squeaked I started to laugh. Have you heard of Manaiaikalani? Well for those who haven't, it’s a film festival where all the schools in G.I make movies that show on the BIG screen.The Manaiaikalani film fest has been going for maybe 3 or 4 year’s and Mrs Burt is the one who always organises the Manaiaikalani film festival. It’s usually shown at Tamaki College but this year we got to go to Sylvia Park Hoyts to watch our big films. We traveled by bus to get to Sylvia Park. 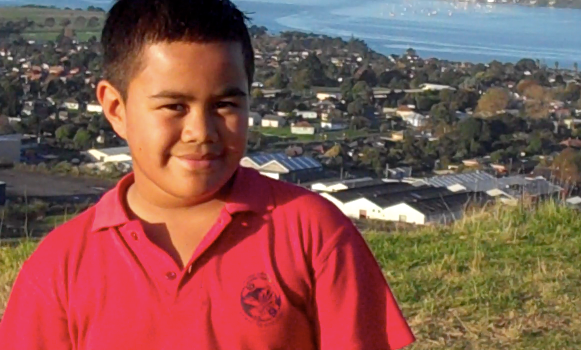 We had time tables for whose turn it was to go to Sylvia Park and then come back to school. On the bus it was very noisy because everyone on the bus was singing songs. They all sounded like a boom speaker that was at the maximum sound that it could go. While they were busy singing me and Kingston were playing shadow boxing and I kept losing. Then finally we got there and the presenters got off first then everyone else was pushing and shoving to get off the bus. Presenters are the people who present their movie that they are showing so they have a very very big job. 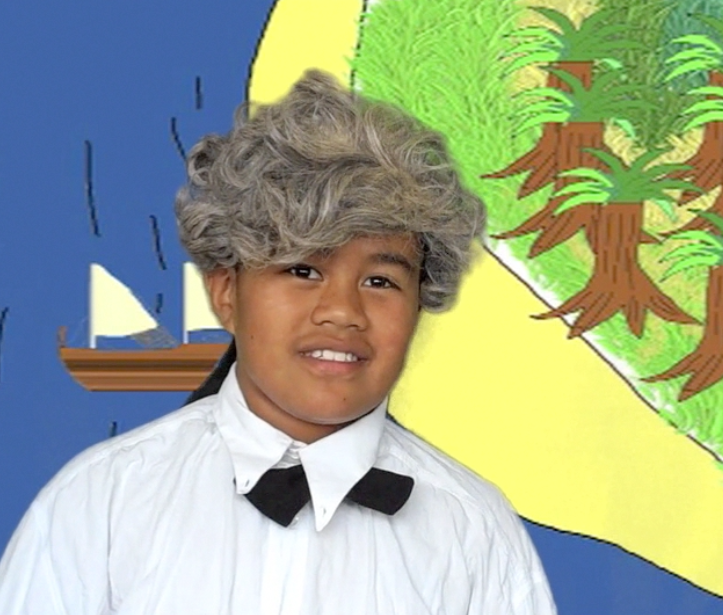 They have also have to stay at Sylvia Park so they can present at each session. The presenters for our classroom movie were Raenan and Chante. The film festival was also put on at night time too so you could buy tickets for the evening show. The movie’s were all cool; I like Jandle man, Rewind and Feeling good feeling great I enjoyed watching these movies because in the jandle man it said that using the jandle for some uses were to kill the kutu on the son’s head so she whacked the kutu on the son’s head. Those were my favourite movies that I liked but you can decide by clicking here. scored a try were Shaun Kenny-Dowall,Nathan Fein and Jason NightingGale. “Line up now the second bell has gone it is time for assembly” Ms Squires instructed. When room 15 arrived at the hall, all the teachers were dressed up as different kinds of insects because our topic is Little Critters. Team 3 and team 4 were my favourite performances to watch. I liked team 3 when mum touched her finger and said “Tsssssst” and everybody chuckled a little bit. They also gave out spider toys. Team 4 was funny because Mr Barks was the queen bee, pretending to lay eggs. Two were twins so everyone was giggling and laughing. The servants were Miss Va'afusuaga, Miss Squires and Miss Garden. "Wake up Darius, it's time to go to your kata-thon! ", my mum shouted. "Okay" as I got myself lazily dressed in to my gii (my karate uniform). We drove to Mt Eden War Memorial Hall because that's where it was held. As we approched the hall people were already there waiting for the doors to open. When it opened we all walked into the hall and started to warmup and get ourselves ready. Parker-shihan (my sensei) told us to get a form to sign so that you can say that you have done fifty katas and for us to mark off everytime we did one kata. Some of the black belts were on stage and on the ground with us. The blue, green, orange and purple belts were on the left side and other black belts were on the right side of the hall. When we all started I was watching the black belt kata up on stage it was a really long one. After doing a set of 10 kata I had a break and got myself a drink of water. When I got to my thirtieth kata I was so tired and exhausted that I somtimes I missed out certain moves in my kata and wasn't actually doing it properly. So once I reached fifty katas I did some more to make up for the ones that weren't done properly. When some of us were finished we couldn't leave because we had to get our forms signed off by Parker-shihan. He was busy doing his 50 kata too. Instead Paka-shihan said that all the people that were finised had to have a kata competion to see who could do their kata the best. I had to buddy up with a person that had the same belt as me and then I had to pick the kata I wanted to do. I did really well but this young girl was the overall winner. After all the black belts were done they signed off on our forms and we were allowed to go. I had a good day and it was a good experience for me. I can't wait to become a black belt. * A kata-thon is an event where you do one kata 50 times and get sponsored for it. This is a part from the fifa night. (The Niuean group preformence). Its' finally finshed. For the past five weeks we have been practising for our performance and it was SPECTACULAR for evryone that came. I had a BIG responsibility for our group. I had to say a speech as part of our kamataaga (entrance) and this video shows proof. Thanks to Mrs Tele'a for filming this for me! CHEE-HOO!!!!! Did you know that our school fiafia is on tonight? It's going to be great!!! This year there are new groups like the Chior, Tectonic, MTV, Drumming, Bollywood, Glee, Jump Jam and the HipHop group. We still have the original groups like the Niuean, Tongan, Samoans, Cook Island and the Dragon dancers. Man, its going to be a great night. Our school hall will be packed with loads of people so you better come early if you're watching and performers have to be here at 6pm . This is Raenan's, Starford's and my movie about Jessica Watson and where she sailed around the world. Wow! Going to the circus. We looked on in awe and I thought that it was amazing. These men were in a metal circle (kind of like a hula hoop) doing tricks. The second thing I liked was these two circles but they were connected. At first he was in the circle just going round and around. Then this Asian man jumped out of the circle on top of it. Suddenly he started juggling while walking around the outside of the metal rotating circle. It was a death defying act, he was blind folded while walking around the outside of the metal circle. Click here to go to their website. The other performance that I enjoyed watching was when all the Asian men were wearing hats and they were all in sync swapping, juggling and passing them around. They would throw a hat up in the air and do a somersault and then catch it. The other trick that I liked was when this fire lord, he lit some swords on fire and stabbed them into a girl that was locked inside a metal box. When they opened the metal box, she had disappeared. They closed it again and then…three Asian ladies came out of the box. During some of their performances they made mistakes. Some people didn't catch stuff, one lady fell off her unicycle of did something wrong. Circus' are never that perfect. Nooo! Back to school. I spotted something strange while I was entering the hall for our Immersion Assembly. It was the first day of school and the staff were dressed up related to the topic for this Term is Mighty Mariners. The Team that I liked was Team 4 It was Miss Squires,Miss V,Miss,Mr Barks and Miss Barks. Mr Barks looked funny because he had a Long red beard and Miss Barks said they were from “Greenland”. Mr Barks said It’s called Greenland to trick you into coming to Greenland. They said it’s really cold there like ice cold. 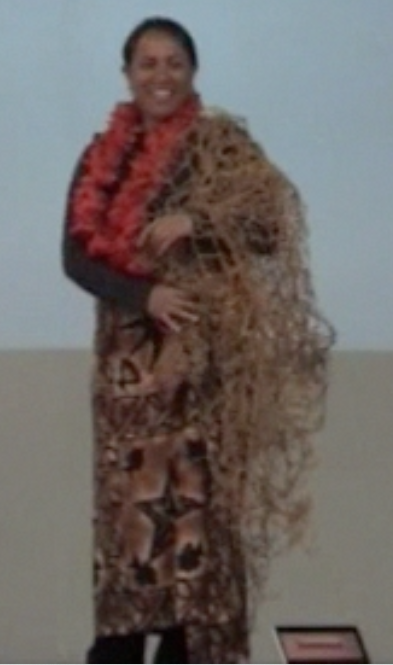 Miss V was a Polynesian sailor they use a net to catch fish and brought coconuts so if they couldn't find any water they would drink the coconuts. The next Team that I liked was Team 2 Miss She as a pirate and Miss burne as James Cook. It was funny because Miss She was poking Miss Burne with her pirate sword while Miss Burne was talking. I liked this Immersion Assembly I hope that next years one will be as good. On Saturday 26th June, my mum and I went to the Highland Park cinemas to watch Shrek 4 (Forever After). My favourite part of the movie was watching Puss in Boots. I liked it because Puss in Boots is fat and he can’t do flexible things. Plus his boots can’t fit him anymore. 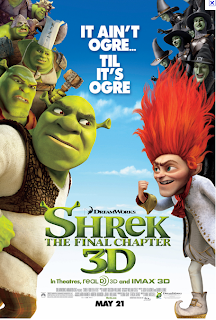 I really like that movie because its different to the other Shrek movies. The next day I went to Rainbows End with one of my best friend’s Matthais and his cousin. It was freezing cold. We went on the Gold Rush, Invader, Power Surge, Log Flume, Roller Coaster and the Motion Master. After we went toilet we made our way to the games arcade. We played heaps of games like a fighting one. You get tickets from some of the games for prizes. Me, Matthais and his cousin got 74 tickets altogether. But we didn’t spend it. Because we chose to go on the rides first. I was suprised. We didn't plan, mum just said "yes". My mum was listening to the radio when she heard one of the radio hosts talking about going to Rotorua. Trying the luge and going up the gondola. I didn't hear that I was too busy playing my PSP. Mum wanted to go to Rotorua to go on the luge again. In the past she came with her friends and they went on the luge. So mum packed our stuff and off we went to Rotorua. When we arrived there, we had to search for a hotel to stay at. The hotel I wanted to stay at was too big so we kept searching and found the Ibis Hotel on Rangiuru Street which was right in the city. My and I unpacked and drove to Skyline Rotorua. The gondola takes you up to the top of Mt Ngongotaha. Before you ride of the luge you have to put a helmet on and wait in line. There are three different tracks you can ride on. I went down the scenic track five times. The other two levels are for intermediate and advanced luge riders. My hands were really sore from holding the handlebars. Here is a video of my short trip. Mum made me laugh. She told me she wanted to go out, when I asked her “where?” she said “I don’t know”. So we ended up at Beachlands… But before that we went to Manukau Westfield to buy two kites, one for me and one for my mum. We drove to the BP and saw my Grandpa. My mum asked him if he wanted to come but he politely declined. So we said “bye” and made our way to Beachlands. When we got there I hurried to try out my kite. It wasn’t very windy so it didn’t go very far. Mum and I went for a walk and saw Mr and Mrs Barks. While I was playing on the wing I saw dolphins. It was amazing!! On the 23rd my cousin had a birthday he just turned one. When he came with my mum we let him crawl and he went for the T.V ( Because he likes turning the T.V of and on) He was so fast I couldn't manage to grab and he turned the T.V off. My mum was mad she grabbed him and ..... He started laughing because I was laughing. Then we went to go eat the cake with my cousins and my aunty and uncle. Last week on Saturday, I went with family to watch my cousin perform. 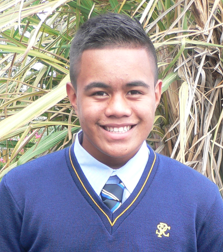 He goes to Papatoetoe High School and they took part in a Hip Hop Dance Competition called Bring It On. It was held at the Waitakere Trust Stadium in West Auckland and only the high schools from South Auckland were competing. When we got there, it was packed with lots of people. The stage was big and right in the centre of the stadium, so there was a 360 view. That means that seats are around the stage and people can see every angle. My favourite part was watching my cousin Iva perform. They had some significant dance moves and routines but their costumes weren’t all that, so I thought. It was really hard to spot my cousin because their eyes were painted blue. I only spotted him when my other cousin Veeshayne pointed him out. The worse part was watching a group that was a boys school but some boys looked like girls. It was really loud and my ears were hurting so we had to leave early and my baby cousin was crying too. He cried all the way home. When I got home I was really bushed (tired). 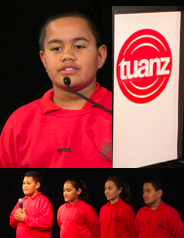 The schools that made it into the top four were Mangere, De La Salle, Aorere, Manurewa and another school. It’s very sad that my cousin dance group didn’t make it into the top four. But there’s always next year. I wonder who’s going to win ?? "Wake up!" yelled mum. "But it's only five o'clock" I said. "It's time to go to your karate class at Mission Bay" replied mum. On Sunday 20th June, while most of Auckland were still sleeping, my mum and I got ready to go to Mission Bay. When we arrived, I saw lots of people both young and old already there. It was raining and still dark. We began our session by warming up in a big circle doing our basics. Our main Sensei led us in three lines and we did line work on the grass area just outside the toilets. After we finished our basics, we stood ankle deep in the freezing water. All of us had to do some gyu-pon (I'm not sure if that's spelt right) and basic sparring. When I did gyu-pon I did a take down on this boy, who I think was a higher belt - he ended up in the water and I stood over him. I felt really cold when it finished, everyone was soaked. I explained to my mum how cold the water was and said, "Next year I'm coming to do it again". Mum just laughed. "Do you love playing electronic games?" Well on Saturday me and my mum went to St Lukes to kill some time. While we were there I was lucky enought to get a new PSP from EB Games (my old one was broken). When I got it, I was very excited about playing my PSP but the lady at the counter said "you have to charge it" and I said "Ohhhhh! 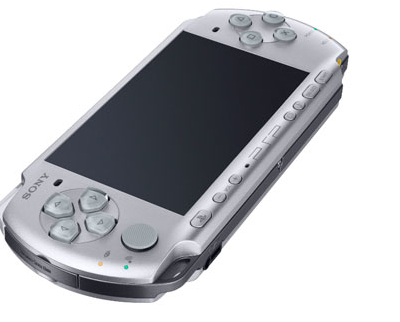 I want to play my PSP". But the lady said "if you don't it will ruin the battery". So we went home and I plugged my PSP to charge. It was really hard not to play it while it was charging. The next day I woke up very early and asked my mum "can I play my game? "and she said "yes". I was really excited and I played it the whole day. Labels: Darius, PSP, pt england, ptengland school. Maungarei is the Maori name for Mt Wellington. The Maori tribes used this mountain for spotting enemies. They also used it for growing plants and growing their own food. Here is some footage of me standing on Mt Wellington and what I saw there. To find out more information about Mt Wellington click here. "Pass the ball!" "Tackle, tackle!" "Get in the scrum!" Have you figured it out yet? Well, last week on Friday our school rugby teams played against Viscount school in Mangere. I had to play for the Over 45kg team. We had to wait because the Under 45kg were the first team to play. When we played our game, there were some big boys but we still took the challenge even though we were losing. Then finally Joe scored a try. The boy wearing number 13 from the other team was gasing us all and he got three tries. “Iyaahh!” I do karate, it is a form of martial arts. On Saturday we had a Fightathon. “What is a Fightathon?” you ask, well it is when you have 30 fights against grades that higher than yellow belt. We only got to spar for two minutes. First I was scared because of the black belts, all the other higher grades and the adults who were all part of the Fightathon. There were only four people from my Dojo. My first fight was against a person from my dojo. I was punching, kicking, foot sweeping and trying to score as many points as I could. Did you know that sparring is like trying to hit them as many times as you can to score points. The fights I really hated was when I had to fight against the black belts. Like I had to fight against this old man that was a black belt. It was two against one. We got wasted by him…far, I punched in the mouth by him and it was wet as. Yuck! I train every Monday and Wednesday at the Alan Brewster Recreation Centre in Old Papatoetoe from 5.45pm - 6.45pm. Last week on Tuesday it was pouring with rain. It was very sad because kids and other people picking up there children had to try and walk home. Some people were lucky because they got to get in a car. But some got soaking wet. I really felt sad for them and some had to wait for the rain to stop before they could make their journey home. It rained for a long time. Were you soaked when there was a down pour of rain? Well I was, sort of. We were screaming and there were LOTS of people who were waiting for the rain to stop. It was like flooding hard out, and I could hear my own shoes squelching as I walked. This term our topic is Active Earth. We are going to be learning about Volcanoes and Earthquakes. Here are some questions that I'm hoping to find answers for. If you know any answers to these questions please leave me a comment. We got there and the view was breath taking. Have you travelled on a ferry? Well today I am travelling to Rangitoto. When we got on the boat I was full of excitement. We were sitting on the 3rd level which is on top of the ferry. When we got there we got to sit in seats while the tractor towed us around on a tour of Rangitoto. The driver stopped near some stairs and said “The summit is all the way up there”. “Three hundred and sixty five steps” he said. But I didn’t hear I was too busy walking up the stairs, it was a long way having to walk all the way. Then we had to go back to our seats. We had another stop near these piles of volcanic rocks. It was all kinds of shapes. Then I could feel something wet touch my face. Oh no! It’s raining, we all had to get back into our seats. But it eventually stopped and we got to go to the beach. I wrote my name in the sand. Finally we had lunch and got on the boat and went home. Click on the picture above to find out more about this place. Do you like playing golf? Well I don’t because I have to roll around everywhere. My job is to try and get in the hole by the golfer. He hits me and Im suppose to go in to the hole. When I get to the difficult holes, I really hate it because it takes long. Plus you have to roll around too much. When me and my golfer got to the 18th hole I hopped off the course and landed in the pond and drowned. From this day on, I am still waiting for someone to come and grab me out of there. Here's my movie. Do you go to church? 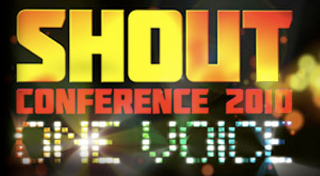 I went to our church conference called Shout. It was held at the Aotea Centre during the long weekend. 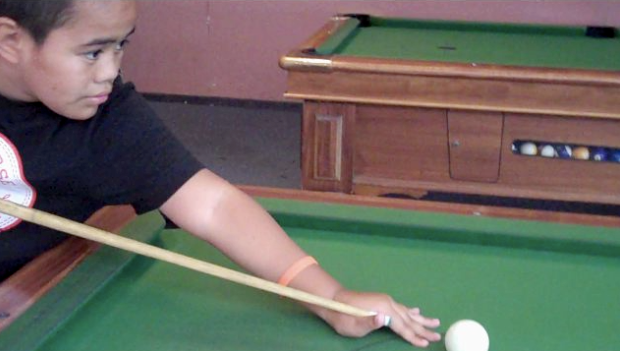 When I went to the kids programme, I wanted to play pool with the other boys. But the next day, I finally got to play because that was my first time. At the Shout conference we had this preacher called Reggie Dabbs. He travels the world and tells lots of people about God and his Son Jesus. It was funny because he used lots of jokes and he was good at playing the saxophone too. The songs he played on his saxophone were very cool. I liked Reggie Dabbs, he’s a cool guy. This is a short clip of him playing the saxophone. Have you played pool? Well it all started when I went to church at kids programme. I was playing pool table with my friends and ever since I've been hooked. I like to play it almost every day if my mum would let me. We go up to the spacie parlour up in Manukau across from the old movie theatre. It only costs $1. Here is my movie showing you how well I play so far. Here's the second part to my trip to Rainbows End. It was heaps of fun. Two weeks ago, I went to Rainbows End it was great. Have you been there? The first ride that I went on was the Gold Rush. It was ok I guess. The only problem I have with it, is that it's not that long. The next ride I went on was the Log Flume. I liked it because it gets you all wet. I sort of got tired from walking one ride to the next. It was very tiring. Here is my first part of my trip, watch this space for the next one. On the last night of camp we had a spectacular concert. Each team had to think of an item to perform in front of everyone. This is our item by Team Spirit. When Wednesday had hit I was really excited because our school was having Senior Camp. All of us were put into groups. My group was called Team Spirit but I really wanted to be in the Considerators. On the first day our activities were based at school. We did kayaking, toasting dampers and marshmallows on a fire and we went to the pools. Another activity was orienteering. The thing I liked about it was using a compass to find clues. Each clue gave us a letter and when finished it revealed a secret code. I think it was: Is it kind, Is it true, Is it necessary. The next day was the best day that I had at camp. All our activities were based around different places in G.I. We went ten pin bowling, rock climbing and skating. At nighttime we had our concert and each team had to an item for it. Finally the last day had come. We were all off to Swimarama. As soon as we got there, we had to race freestyle stroke. I came 4th. Me and Ahsin went on the hydroslide and the water was freezing cold. After play time we had to line up for Miss King to play a game called Capture the Flag. It is a tactical game with different roles. But first she had to precisely explained the rules for room 15 and room 14. We had to play at the bottom field. She divided room 15 and room 14 into two teams. Miss King put out the cones to play the game (after that) we had to get into our teams. Room 15 was red and room 14 was green. Then the game began, everyone started charging at each team. I was sprinting as fast as I could then I heard lots of people start shouting. People were tagging. Each of us had to wait for a long time for the rescuers to come and save other people. Finally we won five to one. Everybody started celebrating for our win. I felt awesome after that game it was exciting for the first time I had played it. Every Friday I always play softball and our team is called the Papatoetoe Highlanders. You may think it's the rugby team but we do not play rugby. I use to go to training on Mondays and Thursdays. But I have karate training on at the same time on Mondays and now winter sports have started so I'm training for rugby league too. Anyway, the club I play for is called Papatoetoe Softball Club. I play for one of Under 10s team. But some people are eleven like Nathanial and I know because he comes to my school. I even play for the soft ball team at school too. Our tournament was on Wednesday 10th March and I'll post some footage of that soon. The position that I love to play is pitcher. That's because you are closest to the ball if the batter hits it and you can pass the ball even faster to base 1 to get people out. Last Friday we were beaten by the other team I was so frustrated when the game was over. Here is some footage from my game. Last year I went to Australia for the Summer Holidays. When I got to Australia I was really excited to see my dad and the others. On Wednesday I went to Movie World. I went on lots of rides with my cousin and my auntie. We went on the best rides ever. First we went on the Superman ride, Scooby Doo, Leathal Weapon and the Wild West Falls. After that I was bushed. The next day I went to Water World. I didn’t like that world that much because it didn’t have that much rides and you had to wait for ages to get on one. Anyway at least it was sort of fun but the rides weren’t that bad. On this one ride called the Tornado, it looked really scary. 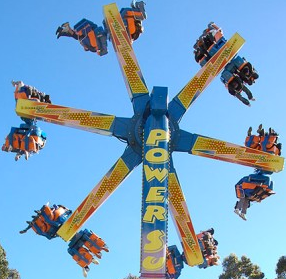 But after I went on it, I felt amazing because it wasn’t as scary as I thought it was. However, afterwards I was really exhausted. On Friday I went to Sea World with my aunt and uncle. When we got there I wanted to go on this ride called Jet Rescue but I couldn’t because it wasn’t working properly. There’s this like escalator luge thingy takes you over to the other side of Sea World. It was cool because you sit on top of the seats and you can see everything. I could see dolphins playing down below in the sea. Then we went on SEA VIPER when I went on it felt awesome because it goes really really fast. Then I went home drained of energey because of all of the rides. These are photos were taken by Darius on his mobile phone. Welcome to Room 15 Darius. For everyone reading Darius's blog here is a link that takes you to the posts he wrote for his class's blog in Room 12 last year.